Courtney and Samuel have one of the best “how we got together” stories. They had met working as lawyers when he started working with her firm. They had gone away on an overnight business trip and I’m not going to say that Courtney came onto him but…she was basically like “Dude, I like you too.” Sometimes guys just need to be tapped on the head a little you know? The bride and groom had originally contacted me about an elopement. The plan was to elope in St. Augustine and get married at the courthouse. But the key to a successful elopement is keeping it a secret because if you don’t feelings get hurt. 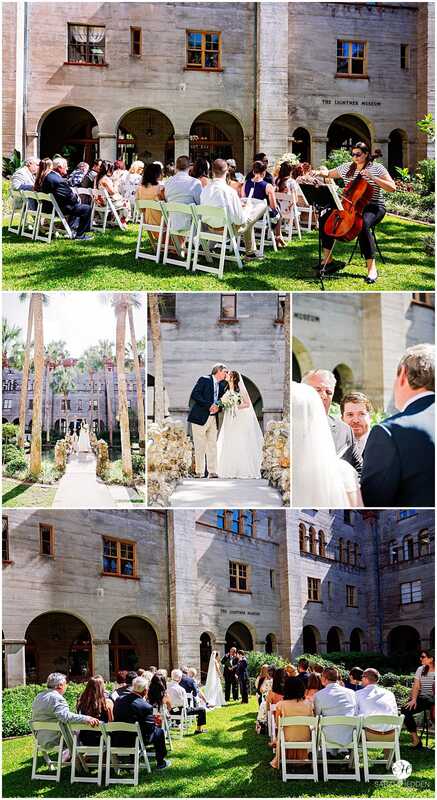 Which is how it came to be that this shindig turned into a full-fledged destination wedding at the Lightner Museum. Luckily, Jessica with Southern Pop Events is a miracle worker! She got everything set up with the Lightner Museum and pretty much did everything from the dinner to the flowers to officiant to the cellist. She was amazing! 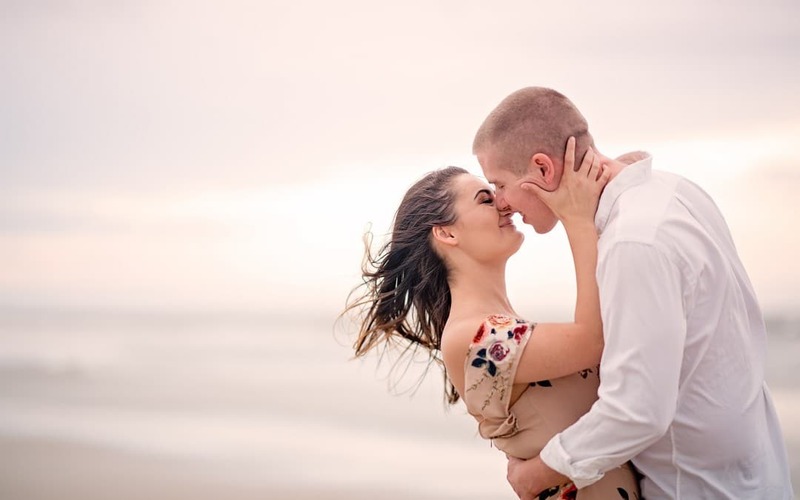 I didn’t get to meet Courtney and Samuel until the day of the wedding but it was like we had known each other for years. They completely trusted me. We got in the car, went all over St. Augustine and got some amazing shots. Their dinner was at OC Whites and I thought it was taking place inside. But as we were walking up to the restaurant, people on the outside patio start cheering. Whenever this happens I get pretty cheeky and tell them “Thanks!” as if they’re talking to me. This time I kicked it up a notch and gave them a fancy bow. At that point someone shouted out “Best photographer ever” and that’s about the time it dawned on me that this was the bride and grooms wedding party! It couldn’t have played out more perfectly and we all died laughing. The entire day turned out so beautiful. Honestly, I was pretty excited for an elopement but their wedding at the Lightner Museum turned out even better. I am so glad Courtney and Samuel chose me to document their day. Congratulations you two! To many, many years of love and laughter!